In the wake of the success of the 11 Speed Dura Ace 9000 group, Shimano revealed that the 11-speed sensation was moving down the line to the more affordable Ultegra 6800 group. This race inspired group is super fast, reliable, and above all€¦ smooth. The highlighted asymmetrical 4 arm spider design allows 34 to 55 tooth chainrings all on the same crank. 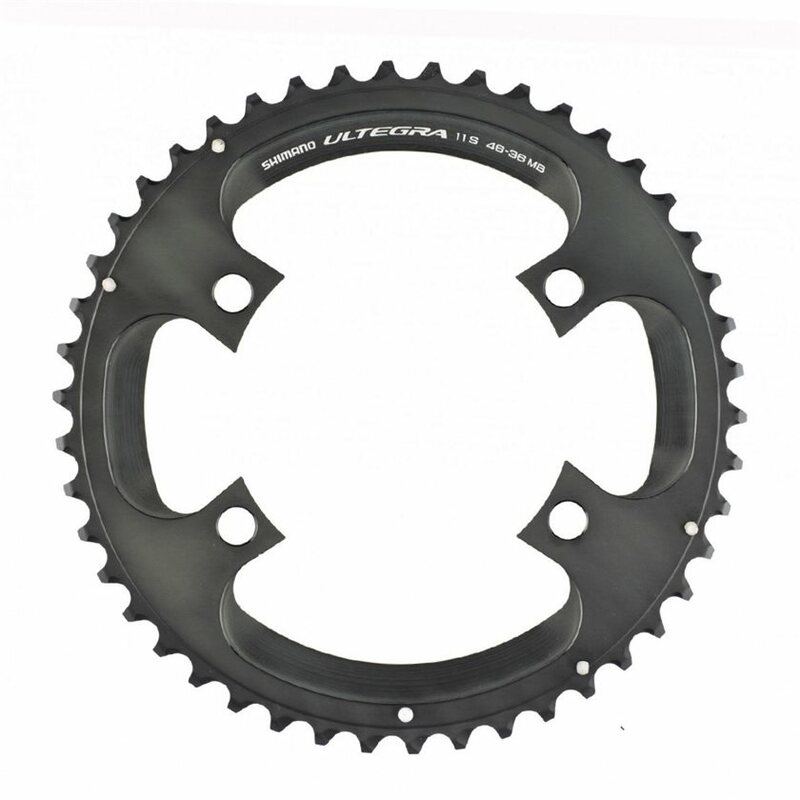 This means you can change your gearing with different chainrings to suit your preferences. Just be sure to match the correct chainrings together for proper shifting performance. Chainrings sold singly. Bolts not included. Nuts are included on 46T model. 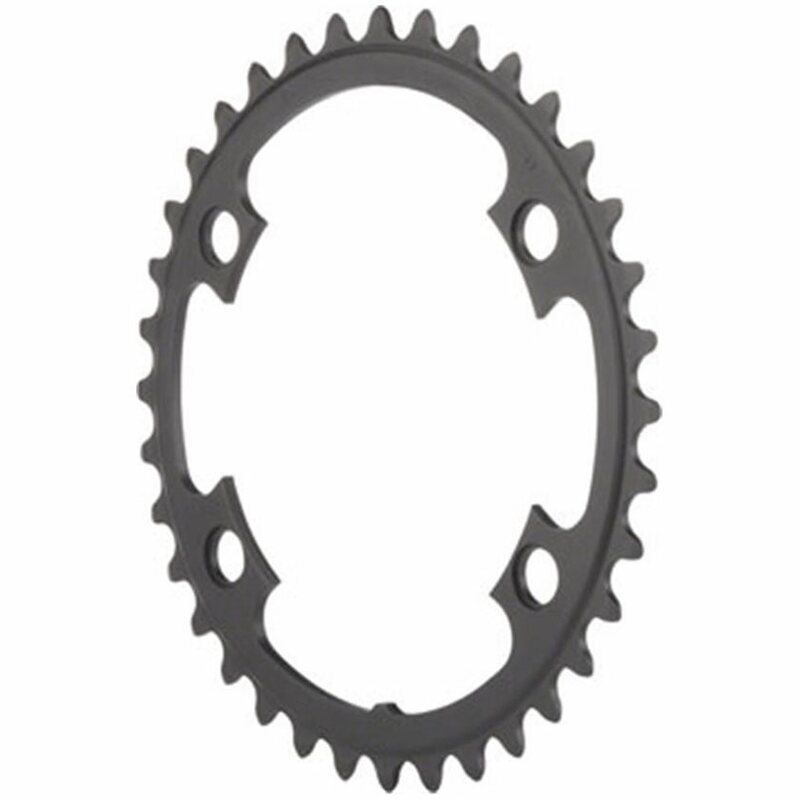 Chainring BCD (mm): 110mm Asymmetric (only fits FC-9000, FC-6800 and FC-5800 cranksets). Exactly what I needed for CX Bike. Needed a quick fix to get a bit lower gearing on my CX bike and it works perfectly with 46t big ring. Went from a 36 to a 34 . Just what I needed for my gravel bike. Great quality of money product that i am using for my silent indoor trainer. Kind of the go-to for quality for the money. The new small chain ring helped on the Hilly Hundred and with a particular hill at 28 degree grade this weekend. Rde it with a 30/11 Ultegra rear. Works as expected as replacement chainring. Works as expected. Fits perfect and easy to install. Best of all no more skipping chain. 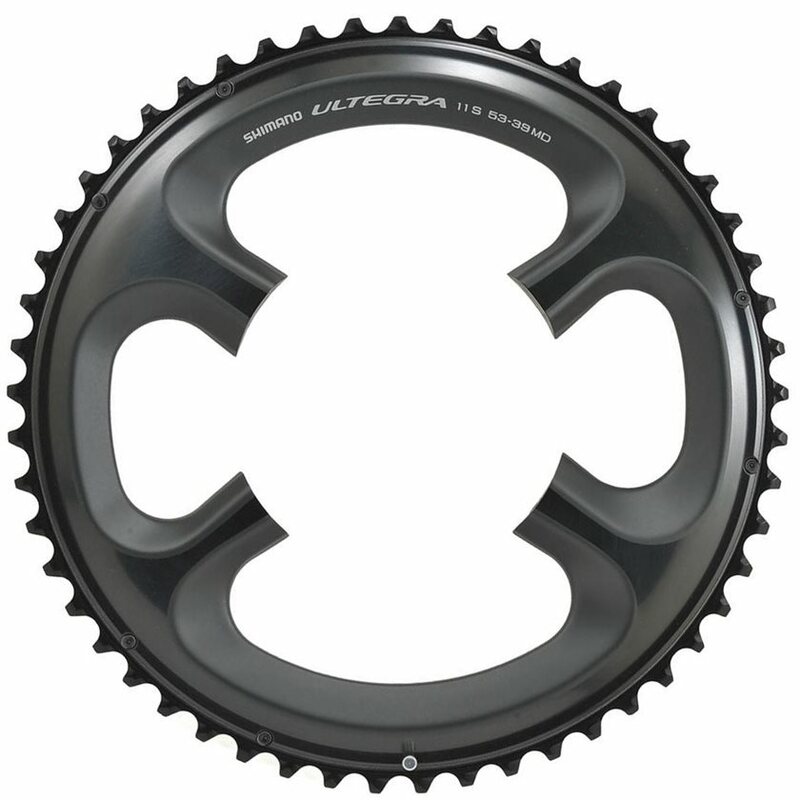 Why spend the eye-watering amounts on Dura-Ace chainrings when Ultegra ones are so good? Shimano shifts better than Sram; it's quiter, smoother, and quicker. These rings are very durable. I have over 10,000 miles on my ring and am only buying another one for gearing options. Shimano always make’s a great product so why would this be any different. Shimano integrates all of the chain ring to fit on one crank spindle... simply ingenious! So when I’m riding the flats or the rolling hills I slip on the standard rings and ride like a beast. When riding in the hill and climbing is a challenge, I simply slip on the compact rings and climb like a beast! 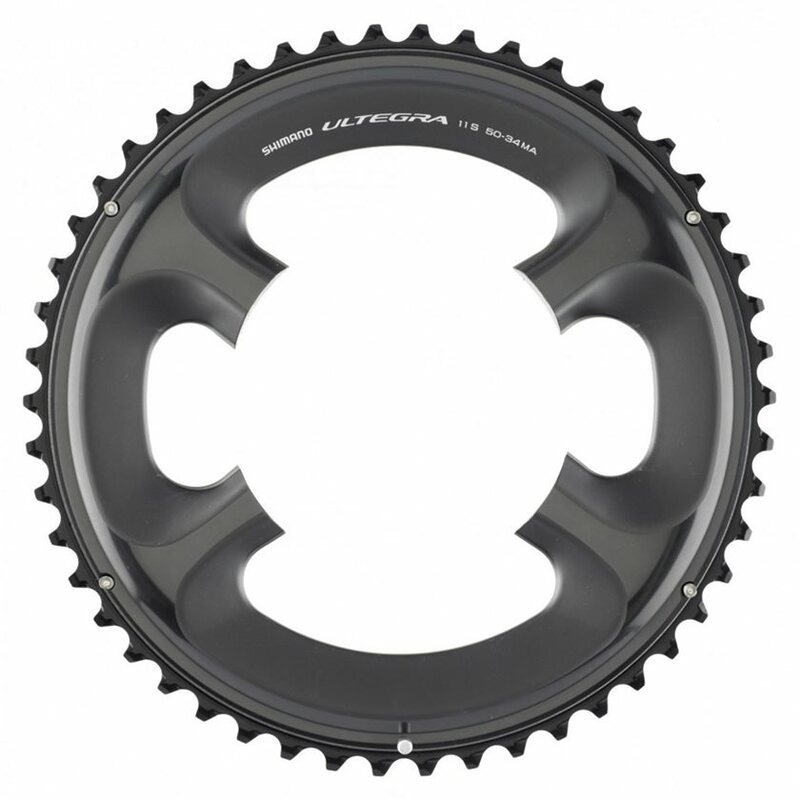 Still need to try this chainring with a 46....anyone tried? Fit my FC-6800 groupset perfectly as a replacement for a worn part. Price seems a bit high to me but that's what they charge. Easy to install. Works great. Can I run a 50 and 36? BEST ANSWER: I bought this ring to do that very thing, and it worked just fine for me with di2. I'm currently running 50/39, and that works just fine, too. That is what I was going to do, but I was happy with the existing chain ring, 52 and 36 and never installed the chainring I purchased. I would think so. For a while I ran 52/34 which is not recommended by Shimano, as the max tooth jump is 16t. Yes That is the same chainrings I am running 50/36 on my Niner CX bike. Yes, but most people run a 50/34. 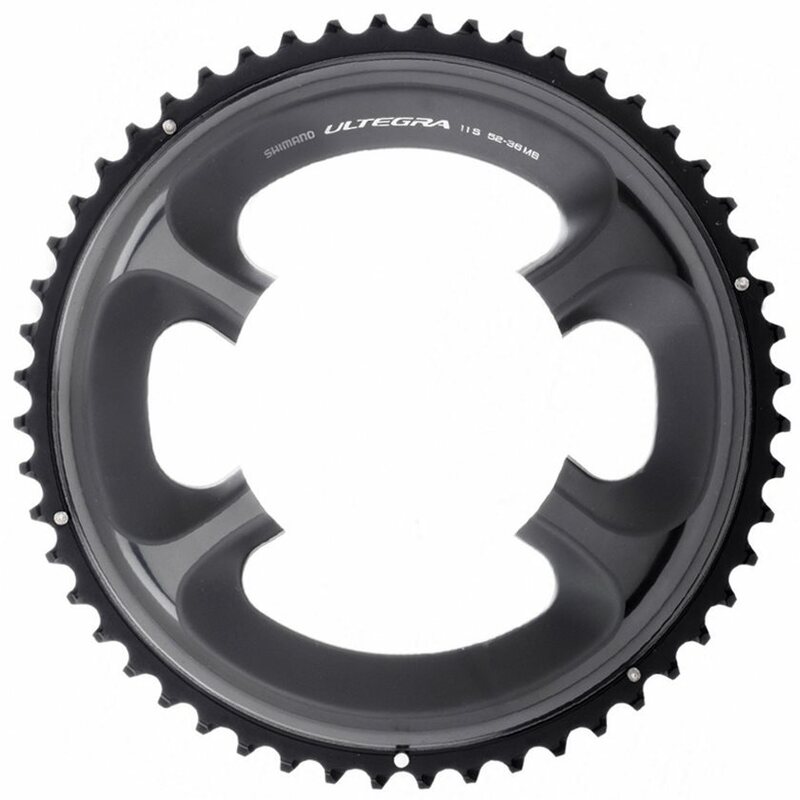 Can I run a 52 tooth big ring (outer) with a 34 inner front chain ring on an Ultegra 6800 Di setup? You will need to raise the derailleur up to accommodate the 52t compared to the height of the 50t that's normally paired with the 34. That may make the derailleur a bit higher then ideal for the 34t. It will work but may not be as designed and not be as crisp. Yes. I did this for a while. He shifting went from flawless to slightly imperfect. Never dropped a chain though. I have a 6800 52/36 crank set. Can I replace the 36 with this 39 ? I found what BCD stands for. Thanks for the information. My bolt pattern is the same.